Left edge. And FIRM. This is the story of how I stopped lag-putting make-able putts. I predominately play golf on daily fee and municipal golf courses. Every once in a while I’ll be fortunate to receive an invite to play a private course in our area, or I’ll take a golf trip a couple of times a year and play some really nice courses. Always, without fail, the greens are where you can tell the difference in the quality of the golf course and its conditioning. On these premier courses I find the greens to be firmer and faster, with fewer unrepaired ball marks, less evidence of foot traffic, and generally healthier grass. However, even on courses where it’s like putting across a glass floor, the putts almost never break as much as I usually read into them. It was incredibly frustrating to consistently for my putting line to be “off” because I was reading too much break in the putt. About a month ago, after months of frustration, I had an epiphany and decided to start playing less break on putts. On all putts. All the time. 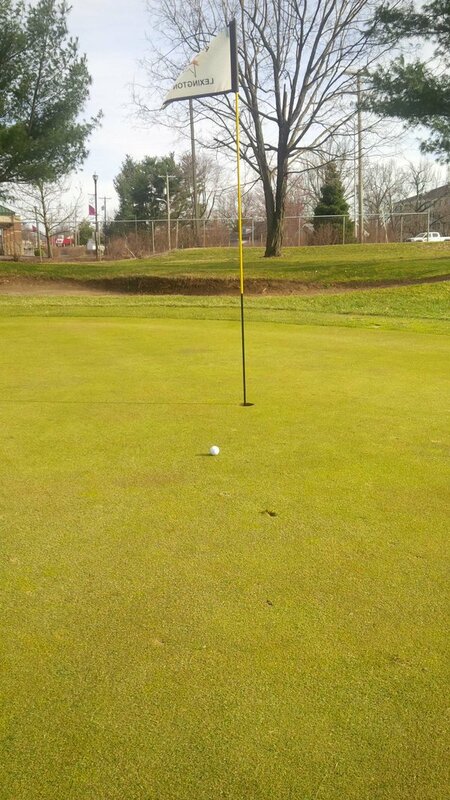 Earlier this year, there was a 95% chance I would have left this uphill putt short. And something almost magical happened: I putted the ball better. I didn’t instantly started draining every putt I looked at, but I struck the ball better and the putts that didn’t go in generally ended up close to the hole. Only on the steepest or longest of slopes would I even consider starting the ball outside the hole if the putt was less than ten feet. Simultaneously, I decided that I would no longer be scared of hitting putts too firmly. I reconciled that the embarrassment of blowing one by the hole several feet isn’t any less embarrassing than leaving a putt two or three feet short. What I realized is that as my overall game improved over the past few years, as I began to progress from weekend hacker to amateur golfer, was that I was still putting with a hacker’s mentality. The way I had been approaching putting was that every first putt was a lag putt instead of an attempt to make the putt, regardless of its length or difficulty. 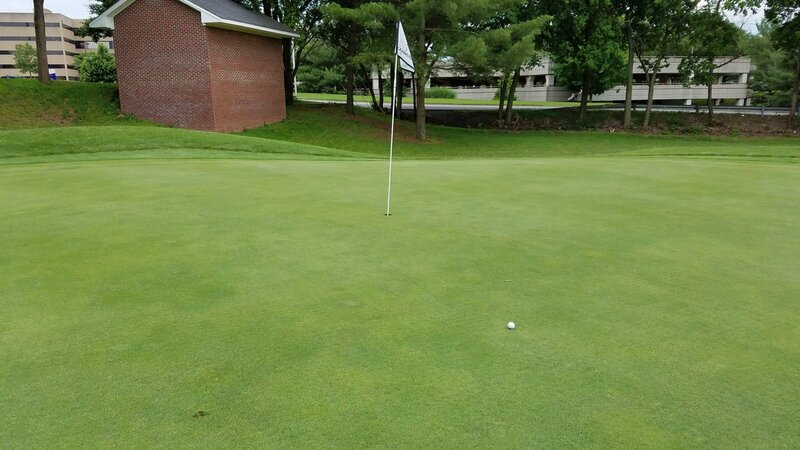 I was actually putting defensively, trying to leave my putt in a place where I’d have a simple tap-in or sure second putt rather than having to worry about making the second putt. It’s said that a good craftsman never blames his tools. After upgrading my equipment, I had the confidence to change my approach. You know what that mentality leads to, Dear Readers? Not a lot of birdies or up-and-down par saves. Hence, I resolved to try not to leave any further putts short. Sure, I would be trading the occasionally three-putt due to this new aggressiveness, but it was worth the risk to reduce that sunken stomach feeling of leaving putts miserably short. 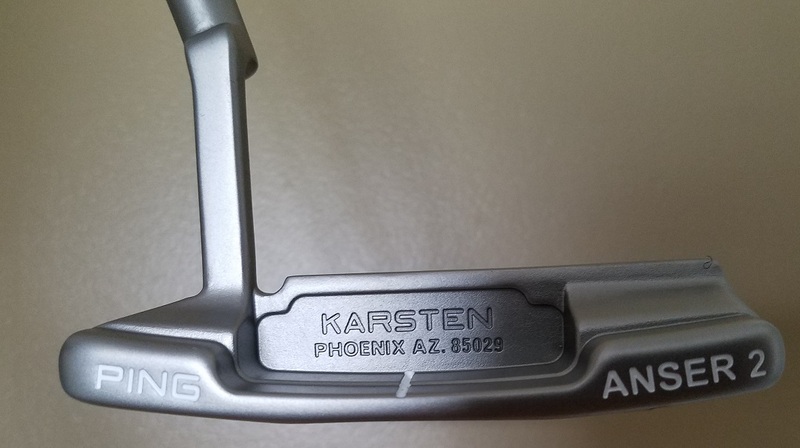 It took a couple of practice sessions to gear down my aggressiveness from “inflict damage on the hole cup” to simply “putt a good stroke on the putt.” However, I eventually became comfortable with my new goal which was that if I missed the putt, I hoped to have a one or two-footer coming back. “Dying the ball” into the hole wasn’t working for me because with that mentality, I simply wasn’t getting enough putts to the hole. And you know what? Armed with this new mentality, I started making more putts. A lot more putts. Especially from inside 10-12 feet of the hole. Sure, this strategy won’t serve me well on every course. And I have, in fact, seen an uptick in random three-putts on my scorecards in recent months. However, for me, the risk of missing putts because I played too little break or because I hit them a little too firmly, is a worthy gamble because I am, in fact, making so many more putts. Pull the pin, take a look, step up and hit it firm. Sometimes it really is as simple as that. 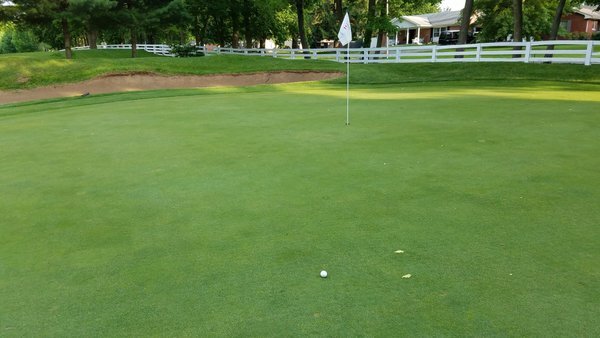 For instance, at my home course, which contains fairly small greens, during one recent 9-hole evening round, I reached the 8th hole before I had my first two-putt (there was some excellent chipping involved) of the round. I’m not sure what “flipped the switch” for me, but I feel like I’ve caught lightning in a bottle with the flat stick, and I know I don’t want to go back to the way I was before. You said a mouthful. 100% of short putts do not go in. I too believe in your strategy and changed a few years back. Now 3 putts are rare. I think you will be successful lowering your score! Thanks, Jim. Regardless of if the ol’ handicap index gets lower or not, it’s a much less infuriating approach.